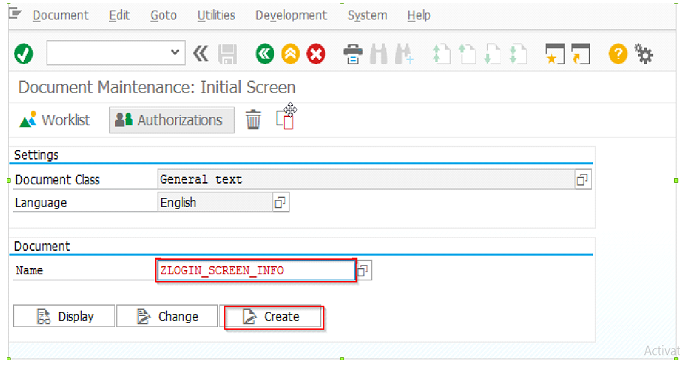 How to change the initial Logon Screen Information in SAP Application Systems. 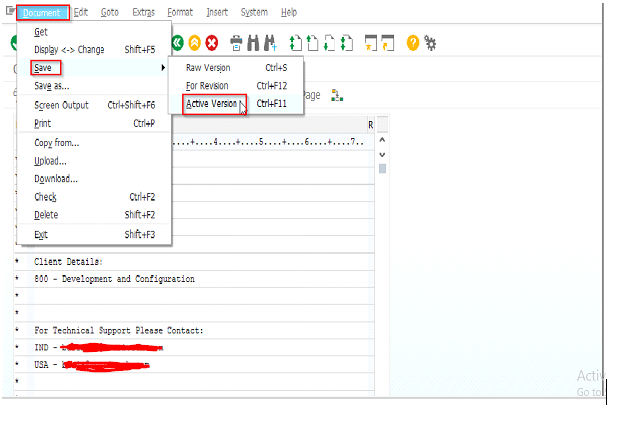 The use of SE61 T.code use is, we can notice on the screen about system configuration and component details,client environment details and also technical support details as like as we described.The way we can find out easily the system information.Now, the following screenshots describes the how to set Welcome note information in SE61 t.code. 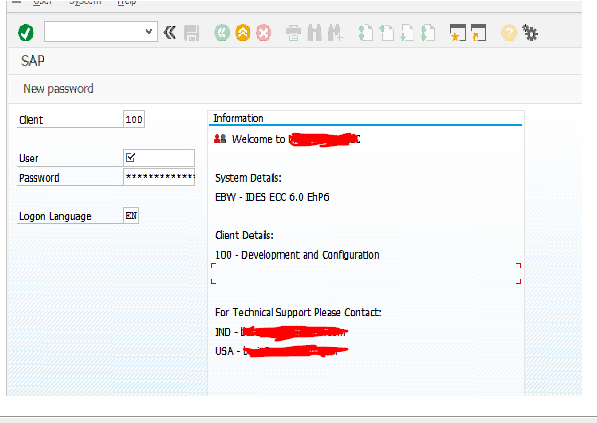 Step 1: Login to SAP Application System. Step 2:Go to SE61 t.code. 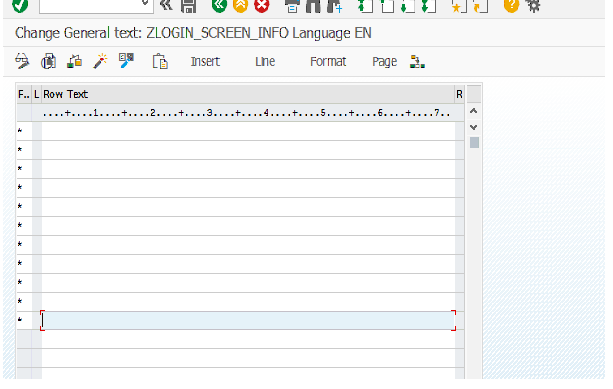 Step 3:Select Document class as “General text” and language as “English”. 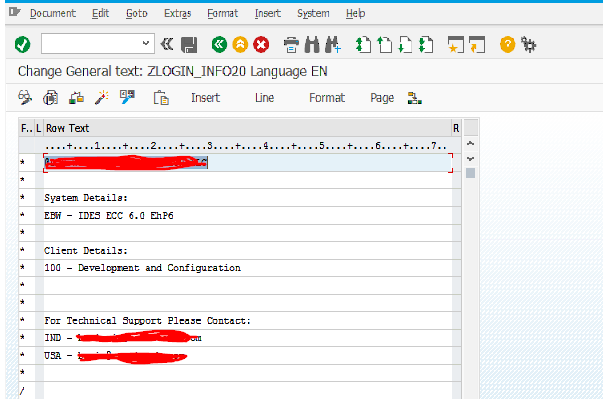 Step 4:Now give the Document name as “ZLOGIN_SCREEN_INFO” and then click on create button. . Step 6:Maintain the data as we need the system information. 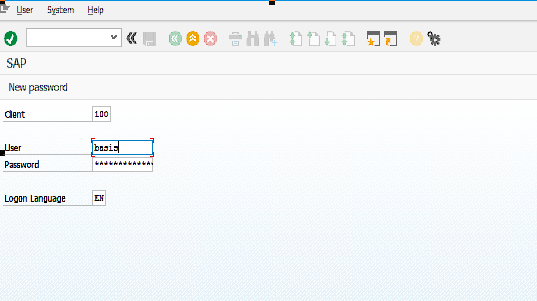 Step 7:After completing the entering details go to document on menu right click on save choose Active version. 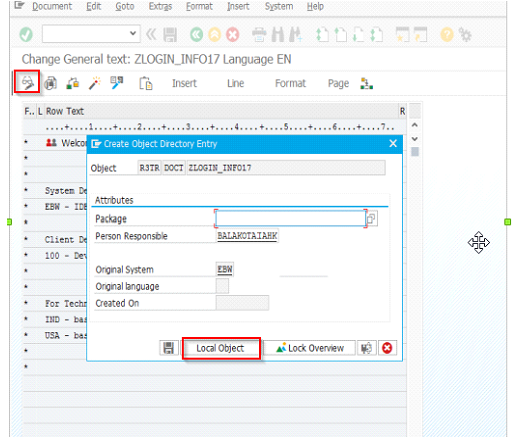 Step 8:Here create object in “Local Object”. 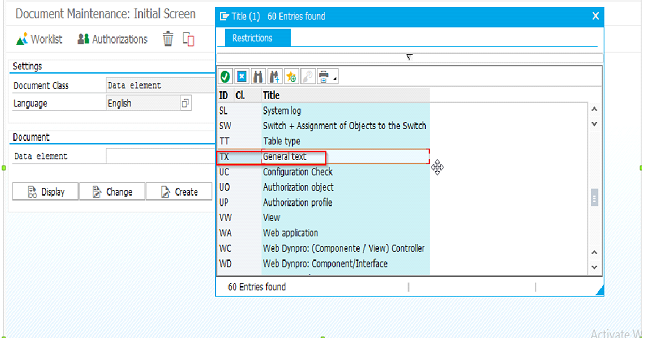 Step 9:Successfully SAP Application System logon screen information Maintained.